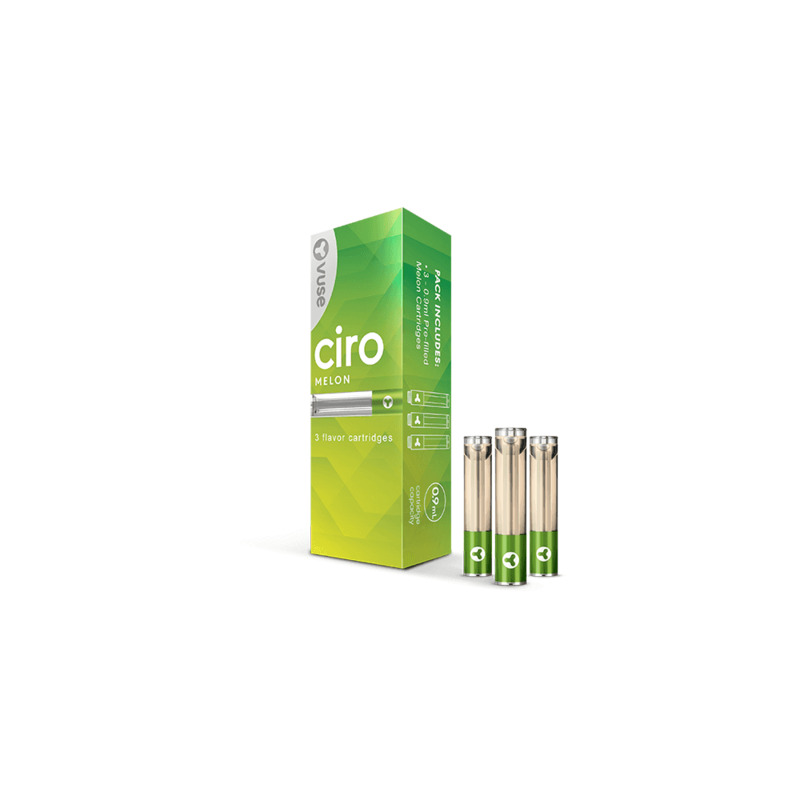 VUSE Ciro Melon cartridges are refill cartridges for the VUSE Ciro Kit, packed with juicy, refreshing melon flavor to keep you feeling cool throughout the day. VUSE Ciro cartridges contain 1.5% nicotine (15mg nicotine), giving you delicious smoothness with every inhale. Tastes like jolly ranchers!!! Splendid!!! For a cheap little system it’s gets the job done. I typically only buy the melon flavor, but there is a downside it may deliver the nicotine it has a taste just not as much as bigger mods and I’ve had mine for 6,7 months and it’s doing just fine. CIRO works really well,the clear cartridge makes it easy to see how much is left before changing. as far as the unit goes i like not having to remove the cartridge to recharge. good flavor selection.since the recall of VIBE, this is my go to unit.i would like to see a larger tank in future. They had a nice sweet flavor and i was impressed with the fact that you really caught the flavor of the watermelon. Not a bad flavor, I like the nectar better though.